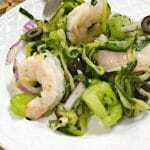 The Most Amazing Italian Zucchini Shrimp Salad Ever! Disclosure: I am partnering with Green Giant for this post. All opinions are my own. We are 7 weeks into 2018 and my family and I are still working on getting healthy, making better choices and finding recipes that we love. Well, I created one last week that I had to share with you. I present, Italian Zucchini Shrimp Salad, the best recipe on Earth. 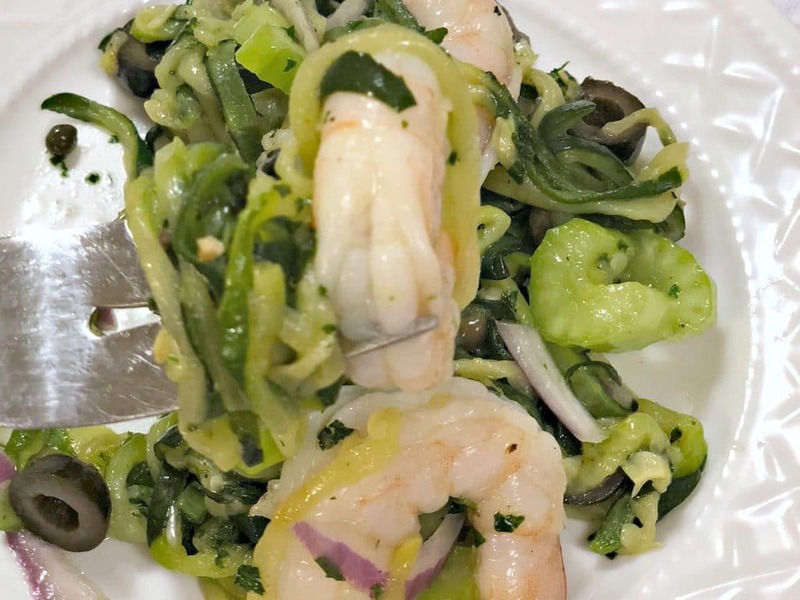 I started by prepping the ingredients, some Green Giant Zucchini Spirals, shrimp, celery, olives, capers, red onion and various other amazing ingredients mentioned in the printable recipe below. 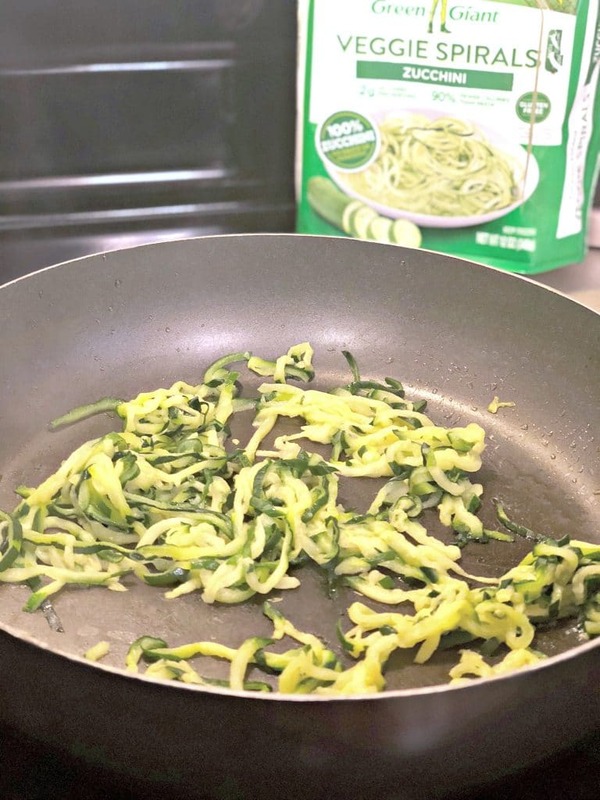 I am a big fan of zucchini “noodles” so when I found the Green Giant Veggie Spirals in the frozen section of my local store, I definitely grabbed a couple packages of these. I tossed them into a pan with a little olive oil and a pinch of salt and allowed them to cook, while I continued to prep the rest of the salad. I mixed all the ingredients for the dressing together, oil, red wine vinegar, salt, pepper, garlic, and even a freshly squeezed lemon. 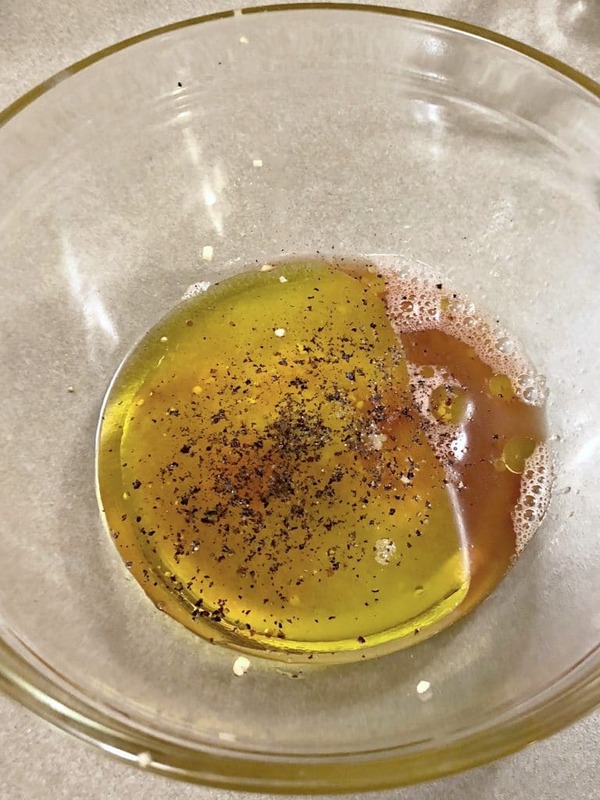 This is an amazing dressing to put on anything, but mix it with the rest of this salads ingredients and you have a mouth explosion of flavor. My husband told me I need to bottle this stuff! 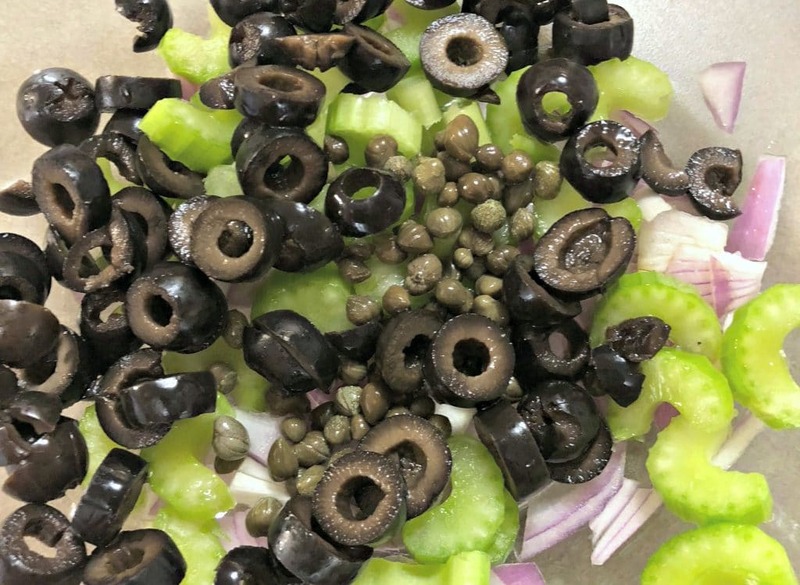 In a large bowl, toss in your olives, capers, celery and red onion. I make the onion pieces a little larger because my kids won’t eat them, but they will pick them out. I swear they could find the tiny pieces of onion, so I just leave them large. Otherwise the ret of the ingredients were fine by them! Next I added in the fresh shrimp. 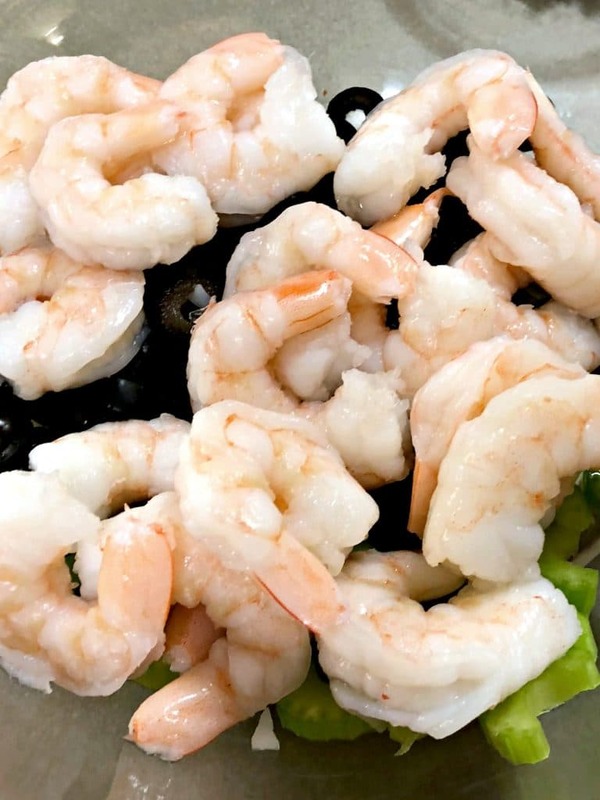 I purchase mine from the seafood counter because I feel like they are fresher and I can take them home and put them directly into a salad like this with little fuss. Super easy to grab and go and takes much less time then cooking them on my own! Once the Green Giant Veggie Spirals were cooked, I drained any excess water off them, chilled them in the fridge for about 20 minutes and then added them to my salad. Finally, I poured on the amazing dressing, added the basil and parsley and mixed everything together. It smelled so good and my kids were excited for it too! The result was a crunchy, Italian salad that was full of exquisite flavor, tasted amazingly fresh and was something our entire family asked for seconds of! It was low carb, perfect for our healthy eating lifestyle and having two servings of it left no guilt in my soul! The Green Giant Veggie Spirals were perfect in this meal. Such a quick and easy way to make zucchini noodles with less work in the kitchen, awesome quality and no stress. They tasted just as fresh as if they came out of the garden and were so easy to make. My husband actually told me that I need to stock up on those because he saw he could microwave them and it would be a meal he would be willing to make on his own. Husband win, y’all. 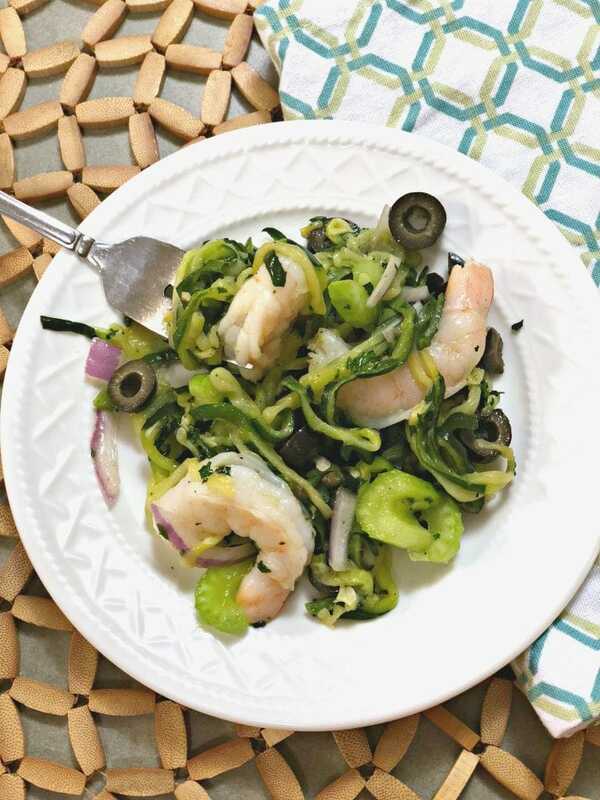 A decadent, but light and low carb Italian zucchini shrimp salad that the whole family will love. 1. Cook the Green Giant Zucchini Veggie Spirals according to the package. Once cooked, place in fridge for 10-20 minutes to cool. 2. 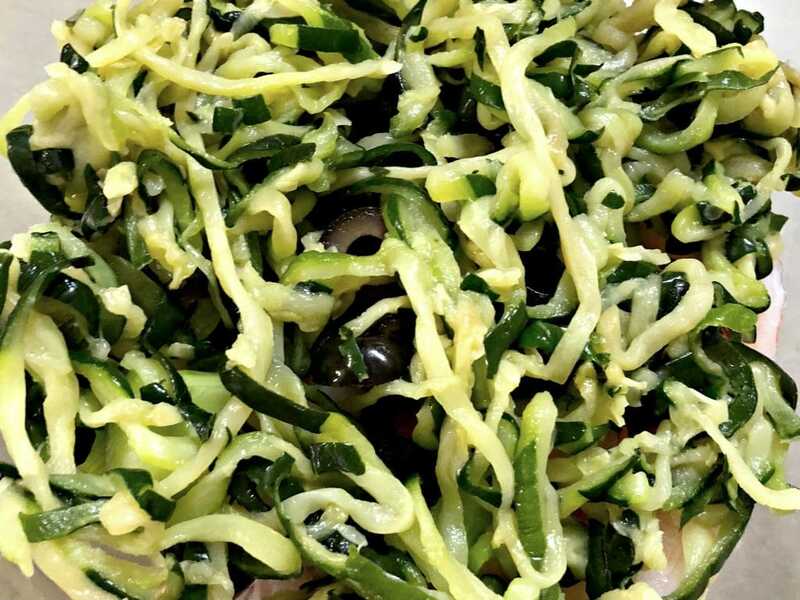 While the zucchini spirals are cooling, rinse the shrimp and remove the tails, slice the celery and onion, cut the olives if need be and prep the parsley and basil. 3. Prepare the dressing by adding the ingredients into a small bowl and whisking together. 4. 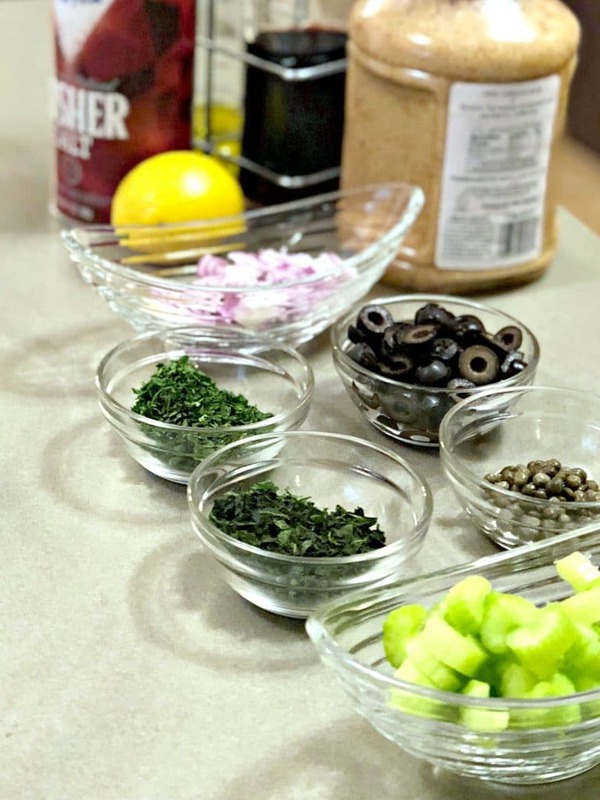 Place the celery, olives, capers, shrimp, zucchini spirals into a large bowl, add the basil and parsley and then pour the dressing over. Mix well and serve! Green Giant has a whole host of amazing Veggie Spirals and is offering a coupon to save now! DO IT and if you like this recipe do not forget to PIN IT! Previous Post: « Reasons I Want the LG TwinWash Laundry System!